Review: 2012-09-22, the fight between Matt Hamill and Roger Hollett has not been particularly good: two stars. Matt Hamill (10-4-0) entered as the No.22 light heavyweight in the world while Roger Hollett (13-3-0) entered as the No.45. 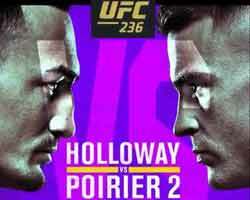 Hamill vs Hollett is on the undercard of Jon Jones vs Vitor Belfort – UFC 152. Watch the video!